Holy smokes, Brian! 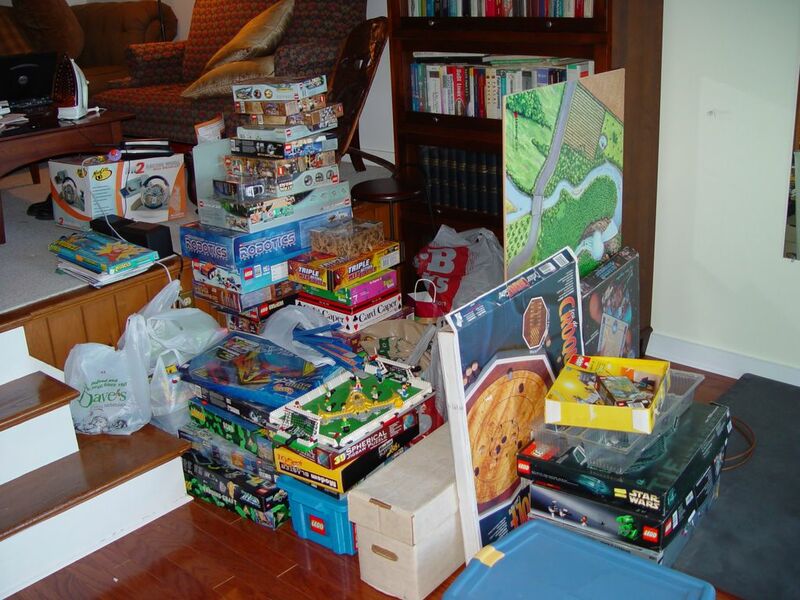 I doubt I had that much Lego in my adolescent heyday, although my brother and I likely had an equal pile if you piled our possessions together -- not that we ever would have, mind you. He couldn't put his stinky hands on my Lego! Don't forget Ethan. He's all excited about getting something in the Lego line. ^ You my friend must be very great indeed. Mom dropped off the Legos and games yesterday. The kids say thanks! They especially liked the Magic Eye books and board game. Sarah and Anna really liked the Legos. They'd never played with them before--deprived children!